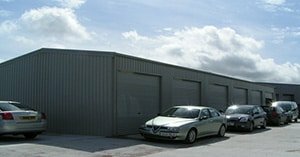 If you are looking for a supplier for your new steel framed building that has an established reputation for quality on the market, you have come to the right place. 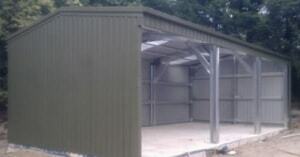 Established in 1988 Cyclone Steel Buildings leads the way as one of the UK’s best suppliers of steel buildings. We offer a range of steel building packages that would perfectly suit the automotive, construction, industrial and agricultural industry. When you use our business for your building, you’ll be choosing nothing less than the absolute best. At Cyclone Steel Buildings, we are proud to say that our services are priced for value. We want to make sure that our clients get exactly what they pay for, a quality build from an expert company. You will find the turn around time that we offer is one of the fastest on the market. Tell us what you need, we’ll design it and erect it for you in a matter of weeks for a price that you can afford. Why Choose Cyclone Steel Buildings? Using the latest, tech machinery and software on the market, we can provide steel buildings of the highest quality on the market. We strive to ensure that each and every client is delighted with the steel building that we provide for them, and we will work to your specific requirements. If you’re interested in finding out more, don’t hesitate to contact us today. A friendly, expert member of our team will discuss options with you and make sure you get exactly what you want. 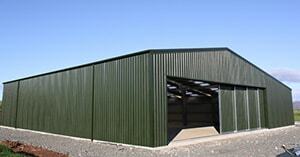 We provide a wide range of other buildings, perfect for agricultural settings. 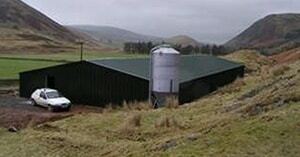 You can guarantee a quality build when you use our service for your agricultural buildings. Or, if you’re working in the industrial sector you need your buildings to be strong, sturdy and able to withstand some of the harshest environments. That’s not a problem with our steel building designs. 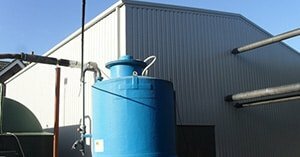 That are suitable for every purpose, and we have helped a wide range of industrial business owners create the ultimate storage facility that they needed. We also offer a range of different cladding and roofing options, perfect for every need. We’re sure security is also at the top list of your priorities, and that’s why you can choose the type of door you want be it roller shutter or personal access. Alternatively, you might be looking for the perfect place to store your company vehicles or even showcase them. 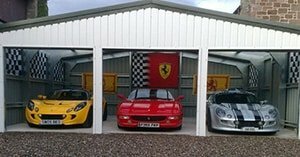 We can provide you with the exact type of building that you’re looking for to keep your cars safe, secure and sheltered. Our spoke designs are absolutely stunning and could be the perfection option to add more kerb appeal to your motor business property.